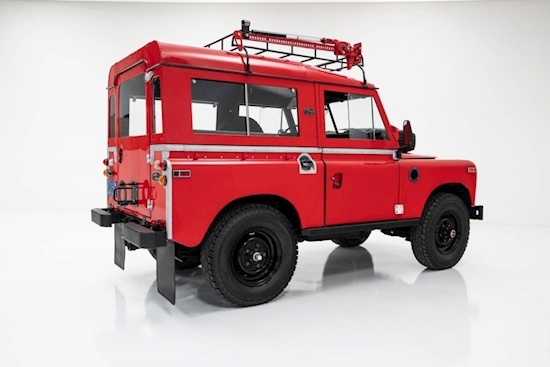 We’ve seen a boatload of Land Rover Defender restomods lately and while we’re perfectly fine with tastefully modernized classics we do miss a good old restoration that doesn’t mess with the original recipe. It so happens that we found one and it’s absolutely stunning. St. Louis-based Classic Car Studio painstakingly restored a 1971 Land Rover Series IIA and is now selling it for $59,900. That truly seems like a bargain compared to the restomodded Defenders we’ve featured recently. The seller says the classic British off-roader has undergone a complete frame-off, nut and bolt restoration with photo documentation to prove it. The aluminum body was stripped, primed and painted, the suspension is completely new (shocks, bushings, springs), and the 2.25-liter gasoline engine was rebuilt. The four-cylinder unit received a new Weber carburetor, new water and fuel pumps, a new alternator, new ignition components, as well as a new radiator. The Defender’s ancestor also features a rebuilt transmission, rebuilt transfer case and front/rear differentials, rebuilt steering linkage, updated wiring system, and much more. Basically, everything that needed replacing was ditched and everything that needed repairing was reconditioned. 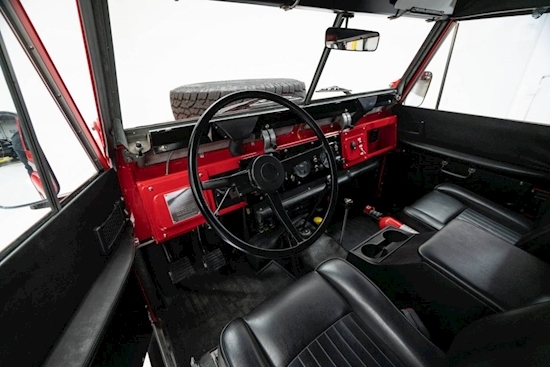 Inside, the Land Rover Series IIA gains new gauges, highly detailed interior with all-new soft components, restored Smiths heater, and all-new weather stripping, among other things. Combining a Poppy Red exterior with a black interior, the classic off-roader only has 15,169 miles (24,412 km) on the odometer. It is now looking for a new owner willing to spend just under 60 grand to own a glorious piece of British motoring history. Classic Car Studio says the cost to replicate this restoration would be “astronomical” so it looks like a pretty good deal from where we’re standing.